1. Where are all my buffs!? -DRK does not have a Berserk or Fight or Flight equivalent due to the sheer combined potency of their numerous oGCD abilities, which add up to between 2000-2500+ potency per minute, with variation based on procs. In addition to this, the baseline potencies of DRK weaponskills and abilities are considerably higher than those of PLD/WAR. 2. Where's my OT stance!? -Consider BW an OT stance, just in cooldown form. It provides a very similar DPS increase to Deliverance and Sword Oath by themselves. 3. Why do I have the ability to apply Blind and boost Evasion when I have cooldowns that rely on me getting hit? -Because they have varying recast times and you are not meant to use those skills in conjunction. Avoid using things that will enhance your ability to dodge incoming damage until BP is on cooldown. This concept of saving certain abilities to use at certain times, in conjunction or separately with/from other abilities is not unique to DRK. In fact, the durations of DADD and DADP line up perfectly with BP's 20s downtime. 4. Why can I not have 100% uptime on RE? -RE is designed to not have 100% uptime, for balancing purposes. If it did, DRK would have both a Dragon Kick and Storm's Path with 100% uptime, that both stack with Storm's Path. That would be like putting a tank stance on the entire party, and boosting everyone's magic defense by over about 500 points on top of that. 5. EW! PARRY! Why do I have mechanics gated by this crappy stat? -Regardless of what you think of Parry, in fights that are not wholly magical, a tank parries quite a bit. Playing DRK will illustrate this, as you will get procs a lot. On top of that, for 1/3rd of every minute you have a uptime on DD which almost statistically guarantees procs in fights with at the very least physical AAs, even if all other damage is magical. 6. Why is Shadow Wall weaker than Sentinel/Vengeance? -If one where to hazard a guess, its because of the combination of Delirium+Reprisal and their high uptime at almost no cost to DPS (Unlike WAR that has to sacrifice a bit of personal DPS for raid mitigation), DM's insanely short recast time and the fact that if the damage is magical it functions as essentially a 2nd Shadow Wall, and in 4-man content, the raw mitigation of DADD and DADP combined against physical damage. 7. Why does Grit/AD/DA/DP cost so much MP? -Part of the learning curve for the job is gauging potential mana-consumption. BW is almost guaranteed to recover around 3K MP, and BP can regenerate a similar amount albeit less reliably. Both are available every 40 seconds and last 15 seconds, giving 75% uptime between the two of them on some form of reliable MP recovery, in addition to the 884 MP you get every 3-4 GCDs from SyS and 1326 MP you get every time something dies with SS/AV on it. Proper usage of these skills is outlined in this guide, and when you learn to use them properly in relation to eachother you should never manafloor. Its all about planning ahead. Even the highest MP cost of DRK abilities is easily recovered in a few GCDs. Do not be stingy with your mana, at lvl60 you have almost 7K of it and are only really in a danger zone when you get around 1.5-2K. DRKs use a lot of mana. They also regenerate a lot of mana. This is why stacking Piety was never a thing, as the costs/returns of your abilities don't scale with gear, but with level; so if you gave yourself an inflated MP pool, it would only be harder to top yourself off, similar to the idea that a full VIT tank can be harder to top off because of a bigger pool to fill. 8. I've heard that DRK can out-DPS WAR, but I can't... Why not? -This is the exception, not the norm, and requires many factors to be met. First of all, you must be MTing with Grit off. This gives you RE/LB procs in addition to the baseline DPS of OTing, and extra MP from BP, in addition to maximum uptime. Secondly you must have a slashing debuff from someone. And of course, you must be of equal gear and skill to a given WAR main. It is straight up impossible for DRK to out-DPS WAR on certain fights, as well. WAR DPS is very different from DRK DPS. Both deal high tank damage, but WAR is designed around burst. Its DPS is moderate but with massive peaks. DRK is more sustained. It has burst, but its burst is shorter and less of a % increase over its baseline, and is also irregular in its timing. WAR is extremely rotational and DRK injects a more priority-system-like feel into its playstyle. Because of this, certain fights, particularly those with many breaks, will greatly favor WAR's DPS toolkit. It is on somewhat more sustained fights that DRK shines. Like Yoshi P said many months ago, as long as you have a slashing debuff, DRK DPS is more or less on-par with WAR in most cases (In a strict OT role however, WAR will always win without question). 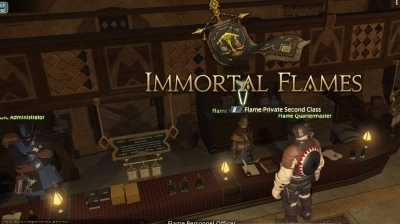 At the time, BW caused some TP issues, but those were fixed and now the more dedicated members of the DRK playerbase have pushed this job to make Yoshi P’s claim a reality. 9. I'm squishy! What are some good cooldown combinations!? -SW is pretty self-inclusive, as is SK. Pairing SK with any defensive cross-class ability offers very similar if not better mitigation to Shadow Wall in some cases. Shadowskin+Foresight/Awareness/Convalescence are all good combinations. DD+Foresight/Awareness or DADD+DADP are also extremely good physical mitigation tools against trash. Against magic damage and TBs, DADM, +SW/SK or even just Convalescence can easily be enough, or even by itself. In fights with physical tankbusters, you must play a bit more cautiously. In a pinch, DD+Foresight+Convalescence with a SCH/AST shield and Stoneskin, and maybe an RE proc can see you through a big physical hit. Beyond that, rotate Shadowskin/Shadow Wall, and activate Grit if necessary. Heavily physical fights will probably see a lot more pre-TB activation of Grit, whereas DRK can gobble up magical TBs without tank stance with laughable ease. AD on 10 targets is also equal to Equilibrium in healing potential, with an MP cost but no recast time. 10. What is the point of AD/UL? ability for tagging a group at range, and is your AoE spam. It deals more damage, so when its DPS you're concerned with, this is better. It costs more MP, however if you spam it against many targets during BP uptime, you will barely notice, and still be able to DA a few for healing. In a massive pull, you'll UM/UL until you've picked up all the mobs you want, pop BP and then AD spam until BP has 1-5 seconds left. 11. DRK's 50-60 skills seem kinda meh. Why? -Because DRK from 1-50 is actually extremely well designed by 2.x standards. They have 4 job specific cooldowns whereas the other tanks had only 3 not counting CC abilities, they have 3 combo trees, and have a defined MT and OT stance/playstyle, with BW functioning as an OT "stance" and no job-mechanic being tied to Grit. So 50-60 is mostly quality-of-life stuff. PLD and WAR were missing a lot at 50, which is why they got all sorts of neat stuff between 50-60. When you get good at DRK, level-syncing to 50 will feel very alien, trust me. 12. Best party composition for DRK? -DRK/WAR/DRG/NIN/MCH/SMN/2Healers, hands down. Just my opinion though. -Fracture is a poor-man's Scourge (Scourge is literally more than double the potency of an untraited Fracture), and with the high base potency of DRK abilities combined with their lack of Berserk-style cooldowns, literally the only WS you have that doesn't beat Fracture in potency is Hard Slash, your combo opener. So Fracture is pretty bad. Flash is essentially a slightly cheaper UL with no damage attached to it. A big utility of DRK is their AoE DPS and you should not be sacrificing this or a CC slot for Flash. The only potential use Flash will ever have is for holding adds that need to be kept alive for some mechanical reason (T6, for example), and there is no current encounter in this tier with such mechanics, and even if there is, that would still be a job more efficient for the other tank in your group to carry out. 14. Is there a point to non-DADM? -Not really. Although as you gear up against an encounter, you'll find that things you survived with DADM become easily survivable with just regular DM. 15. How does DADD work? -The boosts to Parry rate and evasion appear to be additive. Otherwise the cooldown would barely mitigate anything at all. In any case DD's main use is in conjunction with Reprisal, and -10% incoming damage added to the 30% extra parry rate is often an adequate pairing in a CD rotation and is frequently available (once per minute). 16. Do BP’s MP returns vary depending on mitigation? -This was mentioned in the beginning but it bears repeating since it is an unusually common misconception. BP will give you exactly 353 MP every time you get hit at lvl60. By “get hit” I mean a red number appears over your character model and then floats down off the bottom of your screen. The value of this number is irrelevant. It could be 10000 or it could be 0. It could be magical or physical, melee, or ranged. An Adloquium, Stoneskin, or Nocturnal Aspected Benefic will not change this number, nor will any mitigation CDs you use, or procing a parry. If you are hit, you’ll get 353 MP. If you are NOT hit (i.e. you dodged it) you’ll get nothing. I.E. the only direct mitigation that will hinder BP returns is dodging. Indirectly, stuns, silences, sleeps, attack speed slows, and blinds cast on the target will also hinder your returns, but these are things you are expected to plan around and/or compensate for. However, nothing that mitigates a hit but still allows you to be hit will affect the returns, even if it is mitigated to zero damage. 17. When can I turn DS off? -DS in-combat uptime is a direct loss to your DPS, mitigation, enmity, everything - in one scenario only, and that is when the boss is untargetable and there are no adds for more than 12 seconds (4 server ticks) - This is the time it takes for your natural, non-DS MP regen to make up the cost of turning DS back on, which is 442 MP. That goes out the window however if there is a BRD/MCH using Mage's Ballad/Promoted Bishop Turret for you. Any time you are actively DPSing/Tanking anything, boss, trash, anything... you are expected to have 100% DS uptime, no exceptions. 18. The whole tanking out of Grit thing is scary. Do I need to? -No, you don't. In fact, due many of the same reasons that tanking out of Grit grants such high DPS, tanking in Grit is substantially less of a DPS loss from OTing than the other tanks would suffer from the same adjustment. Most tanks have 3 tiers of DPS: Tanking in tank stance, tanking out of tank stance, and OTing. For PLD and WAR, the latter two are pretty much equal. For DRK however, there is a substantial increase between OTing and tanking out of tank stance, almost as substantial as the gap between tanking in tank stance and OTing. Every single skill you have is still usable in tank stance and the main mechanics of the job are still present, you just lose BW. The Gritless tanking suggestions in this guide are designed to give you a picture of what is expected of you in high level optimal play, not necessarily what is expected of you on your journey to that point. Grit is like a gun. Better to have it and not need it than not have it and need it. But when you KNOW you can get away without it, keep it off as much as possible. Experiment. The name of the game to be a good DRK is mana-management. The name of the game to be a great DRK is “how can I kill this boss while using Grit as little as possible?” Here’s the thing: If there’s one poorly designed part of DRK as a tank, its Grit. There’s literally every incentive to have it off and none to have it on (outside the default benefits of a tank stance; mitigation, enmity, accuracy, etc). Having it on is a TP loss, MP loss, and DPS loss, and having it on grants you nothing other than the immediate benefits of the stance itself, aside from SE’s heals, for which Grit must be kept on for a considerable margin of time (2+minutes) to see meaningful HP returns from, since it is, essentially, a HoT. 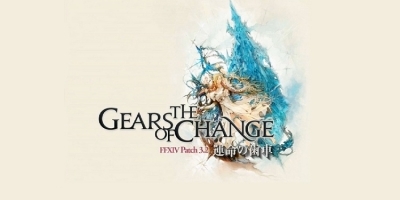 For Grit to be useful, DRK would need a TP restore tied to it, increased BP returns, and probably some other, meaningful mechanic (SE heal increased to 150 or 200% of damage dealt or something). But for right now, in terms of optimization and maximizing your performance, finding every possible excuse to turn Grit off is the ideal way to play the job. That being said, learning to determine when you NEED Grit for either mitigation or enmity is still key. Tank on the edge! 19. Is DRK the hardest tank to play? -Depends on how you define "hard". DRK does not need to worry about lining up too many cooldowns/buffs because it doesn't really have any aside from a pot and BW. DRK also has ridiculous enmity generation, so that aspect of the job and of tanking in general is largely trivialized, which is really a design thing apparently, as you are supposed to be using your other combos 99% of the time. In this sense, DRK is easy. On the other hand, you have a LOT of buttons to push and it is very easy for tanks used to the precision and relative predictability of WAR/PLD to get lost in the sea of DAing stuff while weaving in over a dozen other oGCDs per minute, accounting for recast times, and procs. More buttons to push does not necessarily=hard, but it does create a high margin of error if you don't know what you're doing. Things like accidentally delaying your GCD and issues with latency can be punishing. Because of variances in attack speed, a maximized DPS rotation for DRK is difficult to plot out, assuming you want to optimize beyond the simple SC-DASE-DE-DASE-DE-repeat. 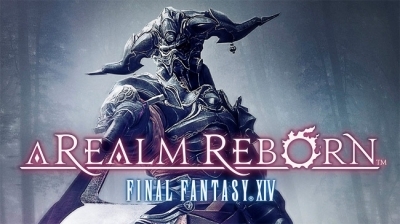 The MP management style of DRK is difficult to pick up for some as well, as it does not always occur to players how to maximize MP regeneration to in turn maximize MP consumption, and the high MP costs taken out of context of that are intimidating. It differs wholly from the mana management of jobs like BLM and WHM. Unlike stack mechanics, MP can be far more difficult to keep track of at varying values, and is regenerated/consumed at a far more rapid rate. 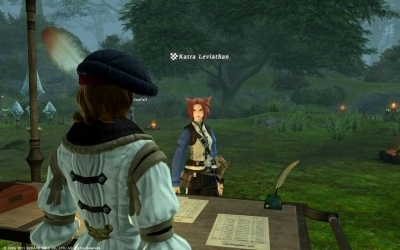 This mechanic gives way to its own ability rotations and using certain abilities repeatedly when incoming mana is not present can be dangerous, hence DRK being a hybrid rotational-priority based job, rather than (for the most part) purely rotational like PLD/WAR. Its various QoL tools, particularly lvl50-60 abilities, are also easy to misuse or underutilize. 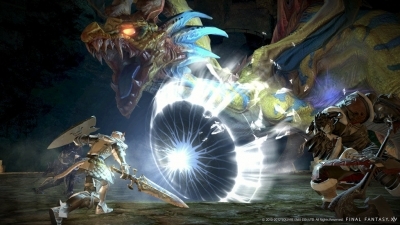 Failure to play the job correctly can be extremely punishing not just to you, but the entire raid, in multiple ways, and it takes a great deal of practice to maximize on all fronts; the job's skill ceiling is not easy to hit, and knowledge of fights is extremely important (DRK is not a job that you want to "wing it" on). The simple mistake of losing DS at an inopportune moment or manaflooring renders DM/DD/DP/DA completely unusable and also hampers your ability to do anything else that costs MP, including the entirety of your ranged/AoE toolkit. That said, enmity will rarely be a worry, the cooldown structure is relatively simple (although stance dancing requires you to use cooldowns in creative ways at times), and the simple melee DPS philosophy of keeping every offensive ability you have on cooldown at all times is a solid starting point for success. 20. What kind of player would you recommend DRK to? -The job was specifically designed for people already experienced with tanking. So there's that. The skills built from playing a melee DPS job (dealing with numerous oGCDs, attack speed variances, resource management etc.) are a plus, but not necessary. I'd also recommend those who prefer MTing to OTing as that is where DRK excels, and the vast majority of its DPS toolkit lends itself to the MT role. Experience on a priority-based/non-rotational job like SMN can also be helpful. If you like MTing, a fast paced playstyle, and can handle the mechanics of tanking combined with resource management and melee-DPS-esque button mashing then you'll like DRK. If you play on controller, I would HIGHLY recommend you get used to hotbar switching. While DRK has the same number of abilities as the other two tanks, keep in mind it has only a small handful with a recast of more than 60s and none of them are useless and you can expect to push almost all of them in a given encounter at least once; there aren’t any that I’d recommend just taking off your hotbar. On that same token, use vertical/horizontal hotbar HUD displays to watch recast times, and group things up by defensive and offensive cooldowns, and particularly put things such as LB, RE, BW, and BP close to your character model so you see them readily. 21. Who is this guide for? -For anyone with questions. I outlined this with advanced play in mind, but even a new tank reading this ought to be able to take something away from it. 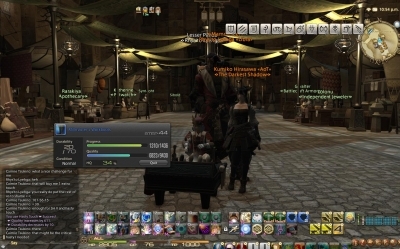 For all its complexities, DRK is still a tank, and tanking itself is a relatively simple task. Optimization comes with experience and this guide is largely based off mine as resources on playing this job are (as noted in the introduction) notably sparse. So it is likely to see edits as other experienced DRK's come forward to offer input/corrections. Some leves are better than others, but generally the ones that require travel will bring in the most ffxiv gil for the effort (unless running feels like a lot of effort).